It must be a dream by any Leica fans to own this masterpiece – now a smaller size one available in HKD 900,000 with serial number “9” out of 12 limited production handled solely by Ninedays Photography Limited (9days.hk). Please contact us by [email protected] or (852) 2366 9238 if interested to BUY. More information of "Fake Leica" can be found HERE. 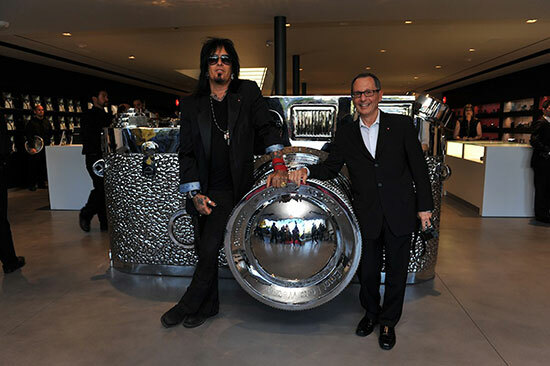 LOS ANGELES, June 21, 2013 /PRNewswire/ -- Last night Leica Camera, the legendary German camera and sport optics brand, celebrated the grand opening of the Leica Store and Gallery Los Angeles. Located at 8783 Beverly Boulevard in West Hollywood, the 8,000 square-foot space hosted over 500 guests who enjoyed a night of conversation, photography and music in the gorgeous, lofty space. Guests were able to meet and mingle with Leica's managing directors from all over the world, as well as Dr. Andreas Kaufmann, Majority Shareholder and Chairman of the Supervisory Board, and Mr. Alfred Schopf, Chief Executive Officer. 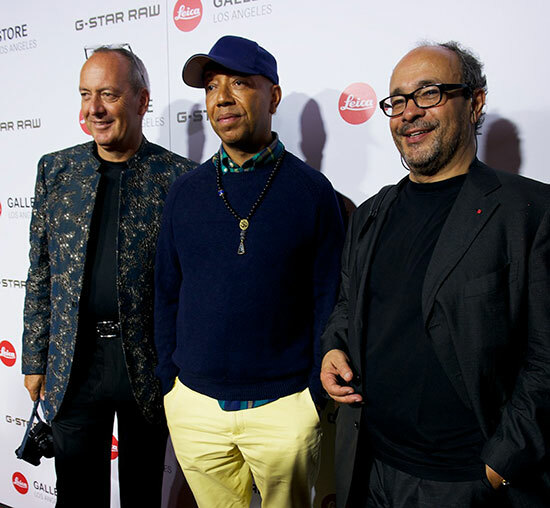 G-Star, international denim brand, and Leica celebrated the unveiling of Leica D-Lux 6 'Edition by G-Star RAW.' The camera is a worldwide collectible and is exclusively available for $1,150 at Leica stores and boutiques, and the official G-Star online store. 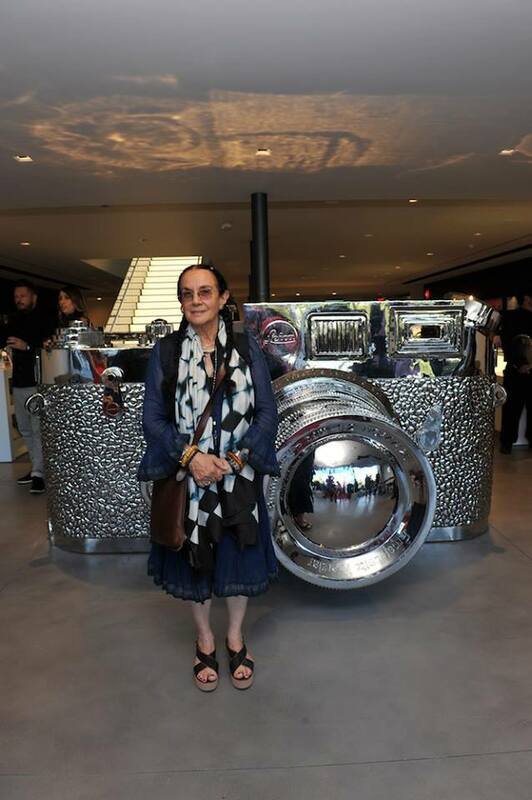 Upon entering the store, guests were greeted by Yibai's "Fake Leica," a sculpture of enormous dimensions that is valued at $1 million. This provided a unique photo opportunity that was popular throughout the night on Instagram with the hastag #LEICASTORELA. 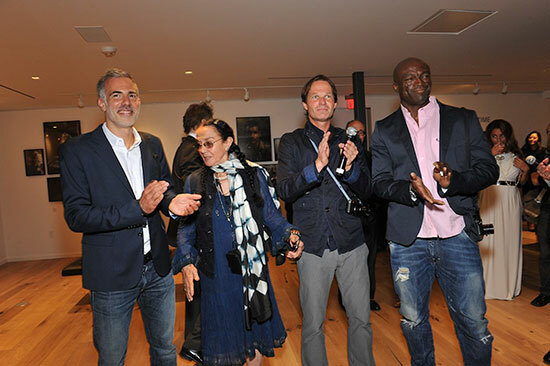 The gallery space showcased the work of world renowned photographer and Leica Camera enthusiast Mary Ellen Mark, Grammy Award-winning singer and songwriter Seal, and self-taught photographer Yariv Milchan. All three photographers were in attendance. Attendees included Marcia Cross (Desperate Housewives), Peter Facinelli (Twilight), Serinda Swan (Graceland, TRON: Legacy), Nikki Sixx (American musician and songwriter), Russell Simmons (Def-Jam Records), Keegan Allen (Pretty Little Liars), Andy Summers (Musician), Britt Ekland (Bond Girl, The Man with the Golden Gun), Grace Phipps (Vampire Diaries),Jamie Gray Hyder (True Blood), Printz Board (American musician and songwriter), Estella Warren (Planet of The Apes), Natalie Gall (America's Next Top Model), Keith Rivers (NFL linebacker for NY Giants), Jesse Heiman (Go-Daddy, Transformers and Townies), Nick Gruber (Model, extreme sports-fitness mentor).